Directions: From the intersection of Sheridan Blvd and 285, head south on Sheridan and turn left (east) onto W. Kenyon Ave. 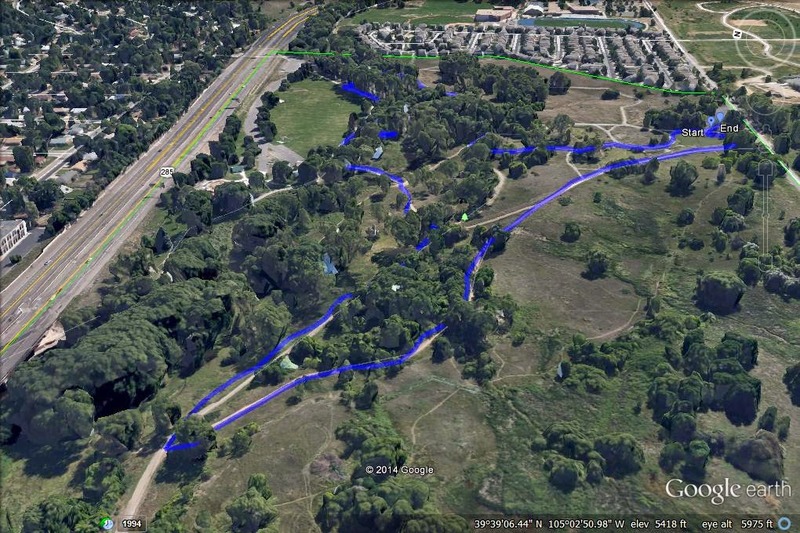 The small parking area and trailhead will be on your left. 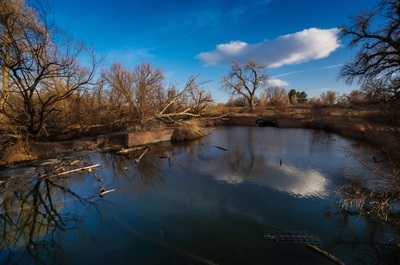 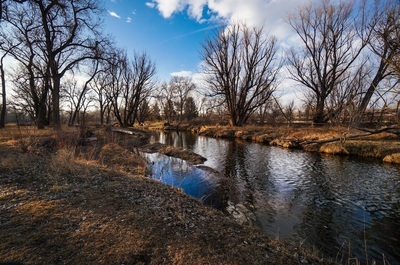 Bear Creek Park is a small open space area along Bear Creek. Bear Creek Park connects to the Bear Creek Trail which extends from the South Platte Trail all the way to Pence Park near Evergreen, Colorado. 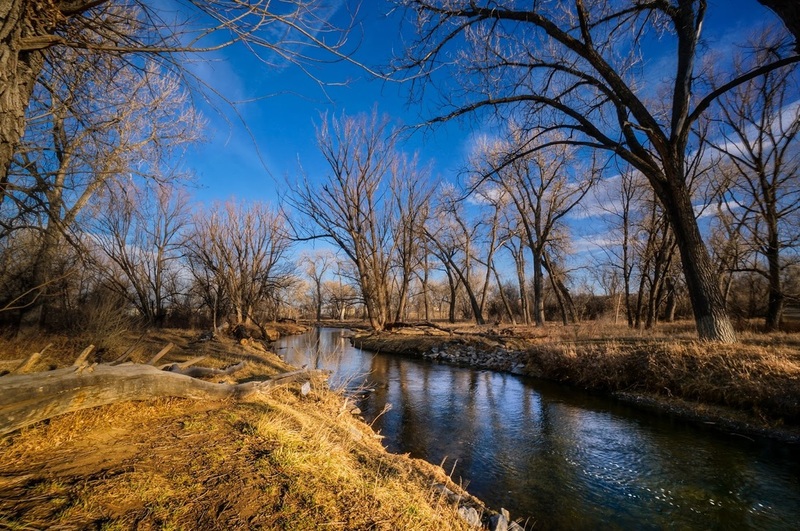 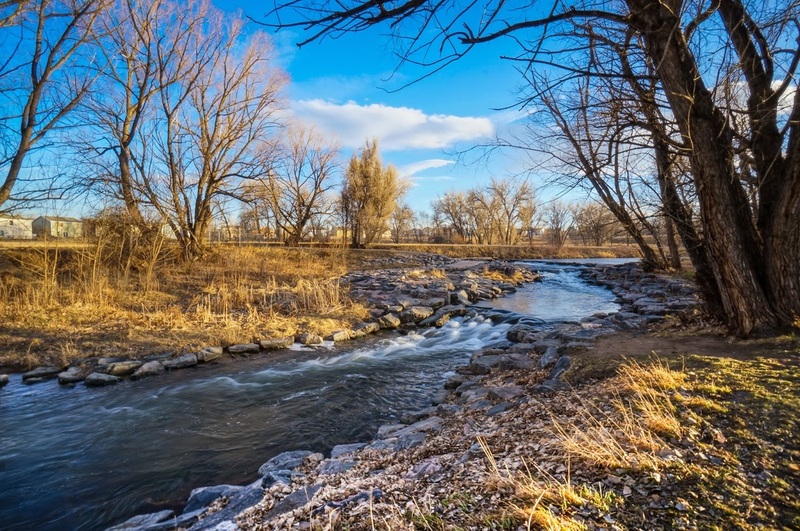 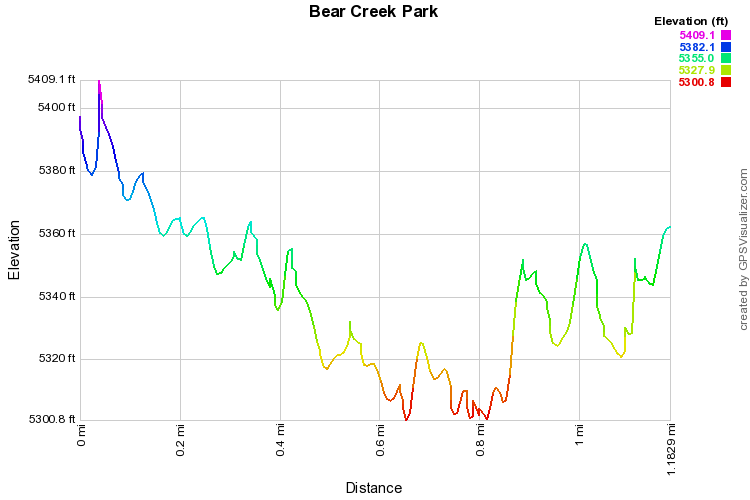 While Bear Creek Park provides only a short hike, it is ideal for a quick after work jaunt or a child friendly afternoon (the park also has a playground and playing field). 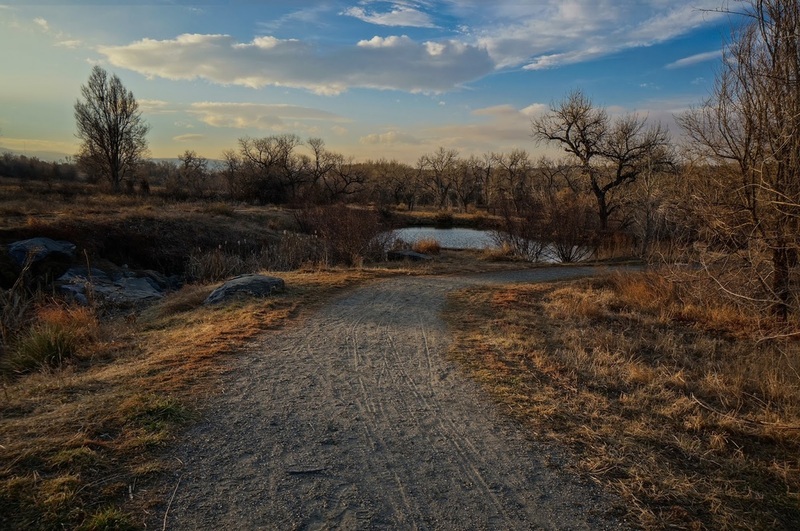 With both paved and natural surface trails this park has something for everyone. 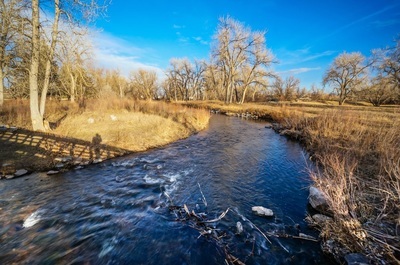 Late afternoon and early evening visits allow for very pleasant photography along Bear Creek and various ponds provide a naturally serene setting.